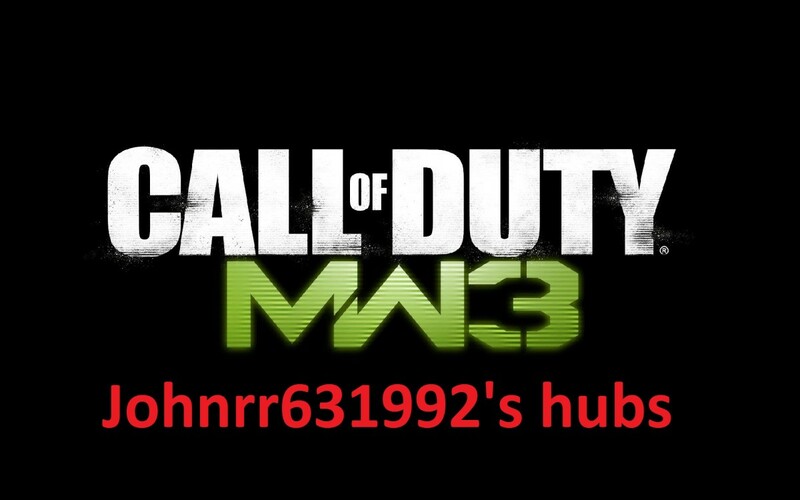 In this guide i will go over the basics that you should follow when you are playing call of duty modern warfare 3 spec ops, on village survival mode. As i have said in my other posts, as far as weapons and things you should carry. You should wield two LMG's preferably, if not then use an assault rifle. Riot shield squads are necessary. You should have two turrets at all times. And you should have a self revive at all times. A predator missile is good for juggernauts, and keep your flashbangs full. Beyond that, i will tell you the specific strategy you should follow below. Right below is a link to my other hub teaching the basics and going over which weapons should be used in survival mode, and the strategies that can be applied to ALL the maps. 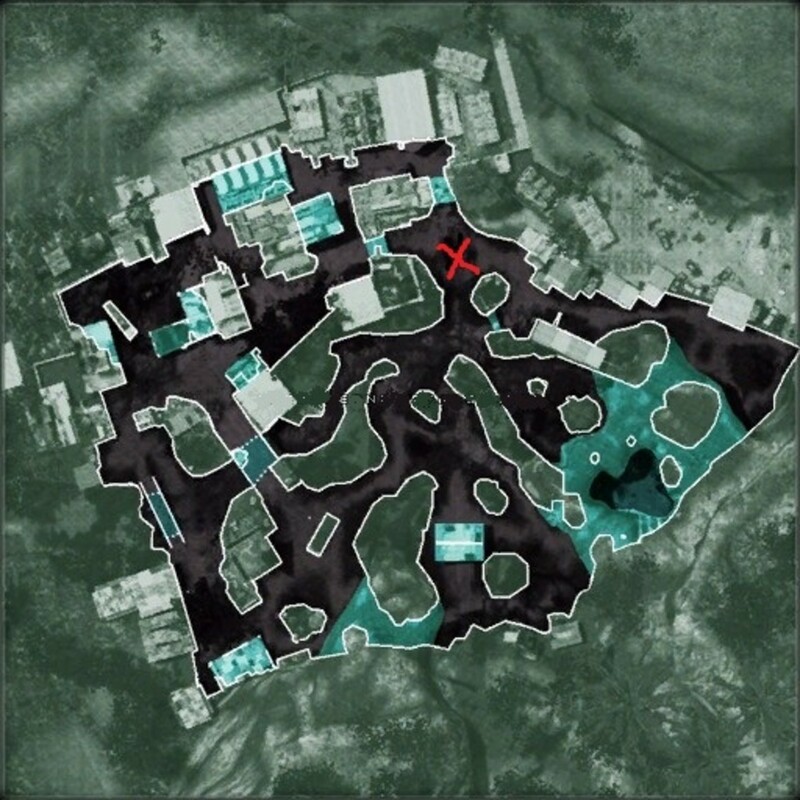 So this guide will teach you the basic strategies that can be applied to all of the survival mode maps throughout spec ops on Call Of Duty Modern Warfare 3. So where you should camp is in the photo below. It is the red X. You should stay here throughout the game, and aim one turret down each path. and you will watch the other path. Also the juggernaut will typically land there as well, so always be ready to move, and also have a riot shield team there. You should end up watching all three sides because your turrets will not kill everyone and you want to protect everything, but overall this strategy and area will allow the enemy to come from 3 areas, and you will be able to easily defend for high rounds. Remember that LMG's are your friend, and this will allow you to have large clips and easily replenish a lot more bang for your buck. When the juggernauts come your LMG will help you take them out quickly and efficiently, also they are very effective at taking out helicopters which will take your turrets and riot shield squad out quickly if you don't take the helicopter out first. Remember to blow the truck up early on in the game. This will allow you to not have to worry about it blowing up by enemy troops later on. Also i suggest mounting one of the turrets on the hood of the exploded truck, this typically will allow you to have good defense on it, and cover a wider spread of area. Once again the most crucial thing to survival mode at high levels is making sure you always have a self revive. This can be the difference between getting to 50, or dying at 25. So try to always keep a self revive if you are alone, and with a teammate preferably both of you, but at least one of you at all times. As long as you camp the truck area you should have no problem holding off enemy forces until round 26, at that point three juggernaut's will come along with normal people and you may have to run and move for a round, but have no fear after beating 26, you can move back to you spot until later. If you have any questions feel free to comment or message me. Guide for Hardest MAP !!! 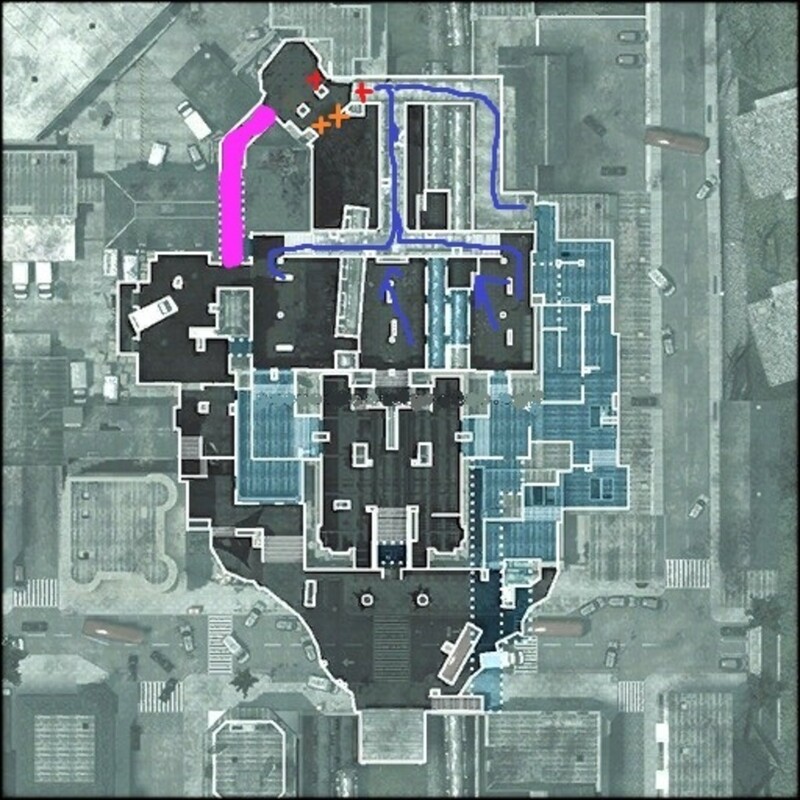 This Hub, will go through a short strategy for every map. This is designed for when you are playing SOLO Survival mode. I will go through each map with a short description of the strategy for that map. 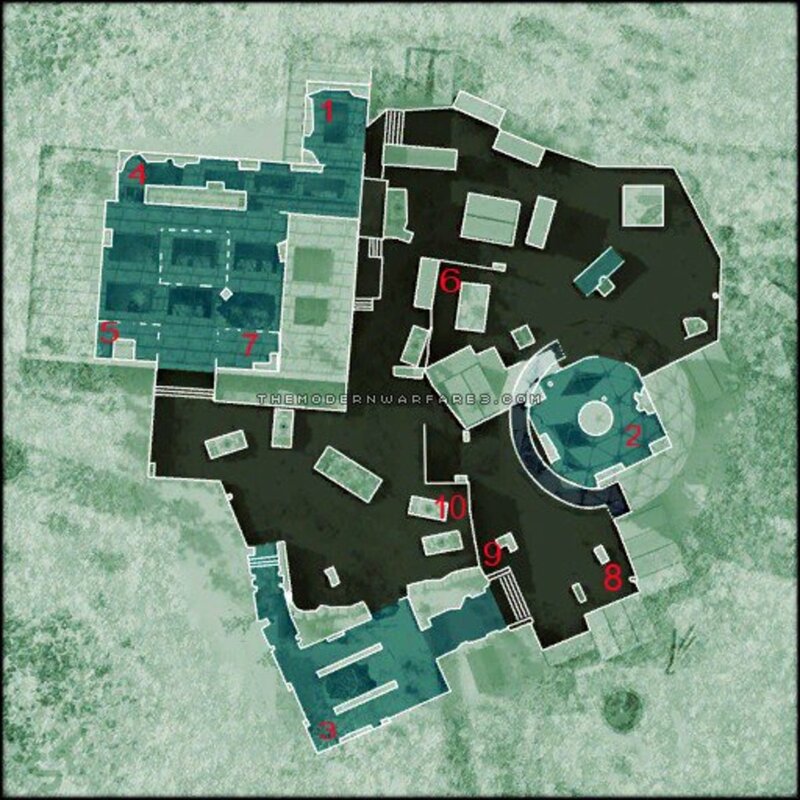 Modern Warfare 3 Maps: Best Camping Spots and Tricks for Dome. I've had good luck stacking two (gernade) turrets under the northern most awning (most northern light green area on your map) and pointing them east (according to your map layout). Everything funnels that direction and your turrents have a pretty long LOS to track the incoming troops. I stagger them so one is slightly more east than the other, to give it the angle on the alley coming from the south. Doing this, once the terrorists get into the open (where both turrets can get them), they're done. Then I use claymores all over the area to the west (behind the turrets). I then camp in that corner and poach the few guys who make it through my claymores, while being close enough to back my turrets up if someone gets too close and they start getting heavily fired upon. The nice thing about doing it this way is that (it takes some time to find the correct spot) there is a position under that awning where your turret is safe from helicopters, but is actually able to fire upon them and take them down. Both turrets are safe under that awning though. An added bonus: when the jugs come, I typically sprint to the opposite side of the map and get them all following me (where they are stacked right on top of each other). You can use a predator missle or, if you're cheap like me (I horde my cash to buy claymores), I run them around the "block" that is just east of the ammo refill station. They are typically so focused on me, that my turrets will kill them after a few passes. One can expidite the killings by laying claymores or use flashbangs (when jugs are in range of the turrets). Why this works for me: I never upgrade weapons because my accuracy is sub-par (low to mid-50's). I use a lot of claymores (10-15 per round, once I managed to get 20 down), so I don't have time to buy/plant those and refill ammo. I typically use whatever the terrorists leave laying on the ground for me. Ammo is cheapest, and most abundant this way. Using this strategy in solo play however, I can typically get to level 25, 26, 27 on a routine basis. Personal best (again I mostly play solo) of 31. HAHA sounds like a good working strategy.. I don't know anything about playing on the wii, so I cannot give much advice, umm, I would say mostly stick with it, and try to loop the map, and take them out slowly.. I play on the wii, so juggernauts are harder to take out. when i make it to wave 25 i can't pass it. Yeah, I used the church area the first few times I tried this map. It doesn't work very well past the 5th or 6th round. Up until then though, it gives pretty good cover from the weaker weapons used by the early waves. no on the church area.. Just don't like it personally. Luca, Assault rifles aren't bad early rounds, but you really want 2 LMG's once you really start getting into the later rounds. It makes the game a whole lot easier. Once again, The benefits of controlling comments. I will tackle your point though MRG... The difference between you.. making videos and me... writing..
A- Not everyone plays the same, no one has the same skill, and everyone should do their own thing. These guides are merely here to help one who is stuck, and give advice to the ones who need it. If you can get to 38 on solo then you don't seem stuck. B- youtube does not pay me per view, by video, and to get sponsored can be difficult and requires a LOT of time and effort. On here I get paid for EVERY view, Every article I write..
C- For me to write an article describing an area and tactics takes me a mere 30 minutes to an hour. After that I m done with the exception of replying to comments, and replying to messages on XBOX. If I were to video describe, we are talking at least an hour of gameplay for me to play to hit at least 50, plus then I have editing, plus everything else, and then I am looking at 2-4 hours of work for something I may not get paid for. I don't know what you spare time looks like but when your working 40 hours a week, plus enrolled full time in college you have very little time to yourself, and that time is not going to be spent slaving over making videos that i get nothing back for. INstead I write for here, make money, and help those who are struggling.. I am not looking to help those already making it to level 50+++ you do not need help, you need a break. Thanks again for commenting... And I guess this is my rant for the day..
Umm.. well to a point they are all easy.. But in my opinion.. I find underground on my strategy to be the easiest.. I made it to 50 with my partner, and we gave up cause we were getting bored, but you can make it much further. Chris I usually stand on one side of the truck while my partner stands on the other... Only a few enemy each round should come from behind you and a sentry should cover them, but the main front paths is where you mainly wanna face. A little confused. At that spot there are four paths. 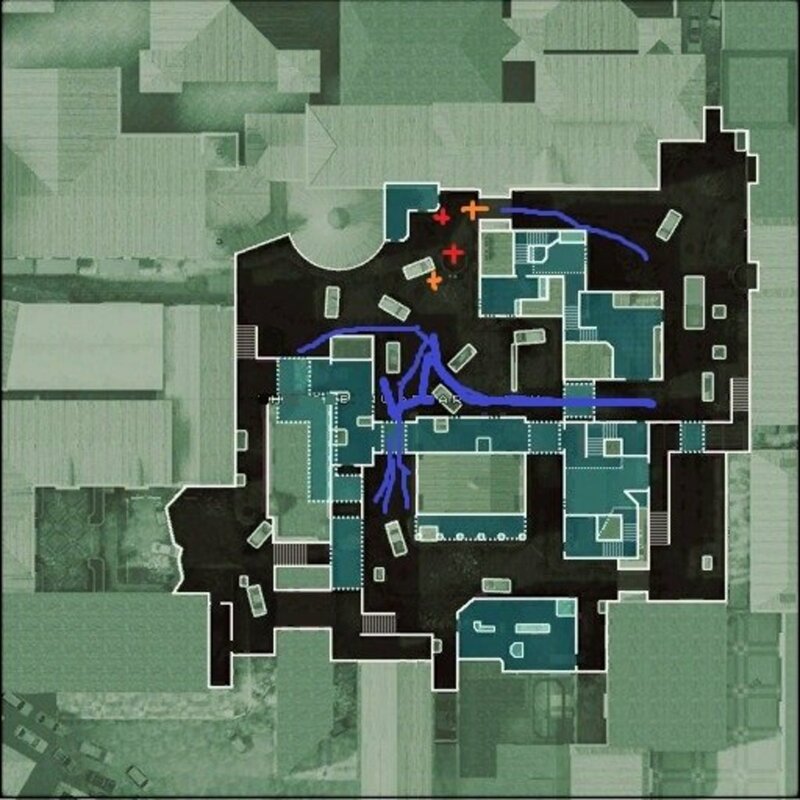 I put one grenade sentry faced toward 2 of the paths, and the two paths near the buildings at the top of the map were uncovered. I stood near the truck next to my turrets, and got rocked from all directions on lvl 12. Both turrets died, and I barely survived. Theres a lot of things i wish i could tell me delta team.. like... Don't shoot your gun when another delta team is in front of you. Stop looking at the wall. Turn around your getting shot in the back. Why did you just lay in prone. Don't face each other.. that's counter productive. There are lots of things I would LIKE to tell them, I just wish they had common sense i guess. don't you wish you could tell your guys (delta or riots) where to go, hold position or stay with you. like in rainbow six vages. with that i could get delta team to last as long as me. Off the top of my head, I don't know, haven't played this map since I wrote the Hub.. 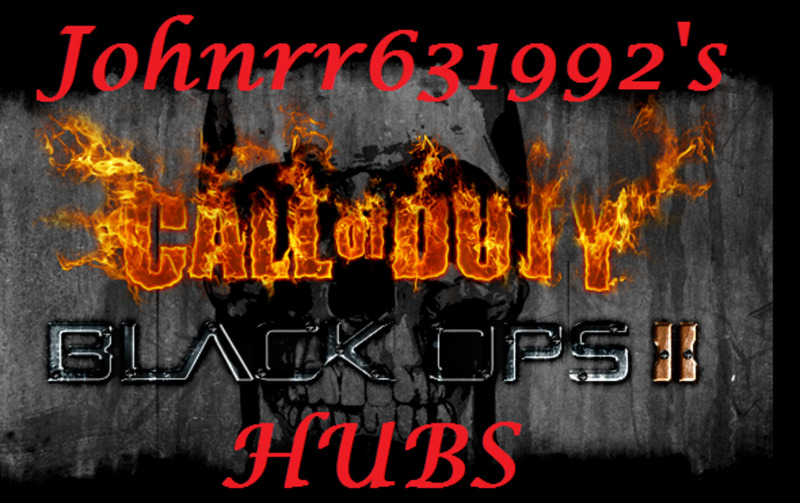 Right now Im still working on guides for all DLC maps, but ill look into this soon and let you know. when me and my teammate played this the first few times 26 gave us THE MOST trouble. We eventually used a run method to beat 26, and let people follow us, while we kill them, then moved back at the end of the round. The furthest I got was round 26. It's hard dealing with kids sometimes. They like to run around and I stay in the area you suggested with a turret. I got to 26 once after that I haven't seen it since. I used just about everything. A regular turret plus the grenade launcher turret. Air Strikes seem to help when in desperate need. But, hard to throw a marker without having people shoot at you. I always start out with a pistol then when the guys with the assault rifles come out I take theirs and just keep loading up on ammo (they drop ammo too) to stack up money. Also, Claymores are a godsend, lol. I always put them on the bridge and they knock out a good amount of enemies before they even get to me. Again I've only gotten to 26. We died because my partner went down and he was swamped by the enemy. Yah, pretty straight forward from there. I explain where things should go above, but basically have turrets looking where main group of enemy coming from. just a red x on ur map? Thats fine, but after round 30, when it takes almost a full clip to take out 1-3 guys, and have 20 of them coming at you full force... you are stuck with a gun with weak bullet damage, a high fire rate, and will run out of ammo halfway through the round. I think the LMG gives you a much better defense at high rounds, and allows you to last longer. Keep in mind it is matter of opinion but, anyone who plays high rounds above 30 will agree that the LMG's are a better option. I disagree with having 2 LMG. I feel that the delta squad is too weak defensive wise. I think the riot shield is a much better strategy overall. Just wondering, when playing split-screen. How effective would a riot and delta squad be together? I'm thinking it's like having a juggernaut or two on your side. 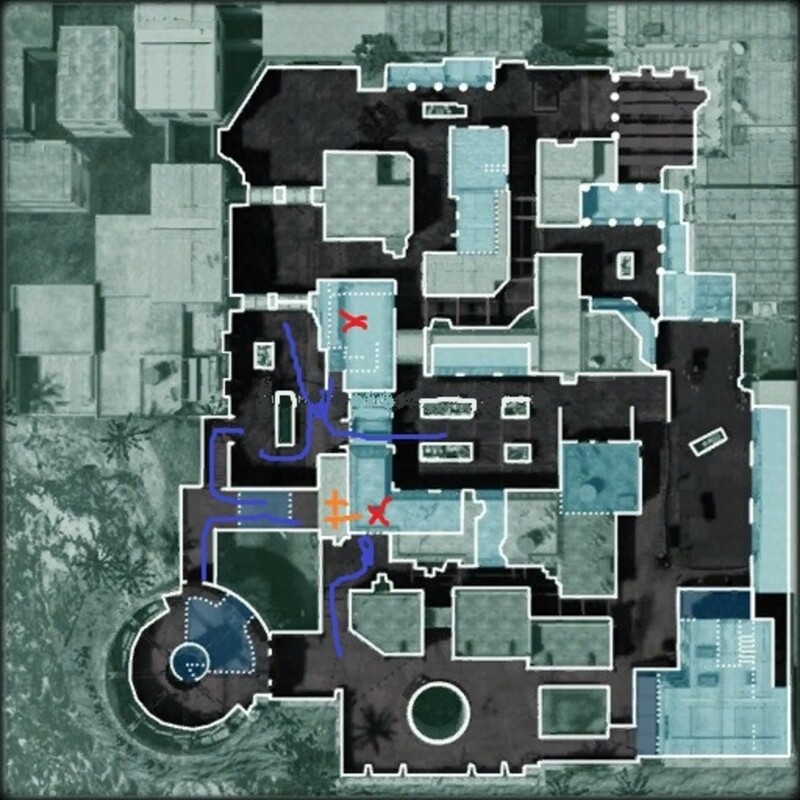 Easiest way is to Kill 1 juggernaut with a predator, and then just circle the map.he will chase you, and as you make it around the map pick up another predator, and hit him with it, if you cannot afford these, then use flash bang and stun him, and lay into him with a lot of bullets. If you are referring to the helicopters that drop juggernauts you can't, if you are referring to normal ones, you need to shoot them about 30-75 times depending on the gun. How do I blow up the helicopter? Its been a while since i played village. I assume that round has.. 1 juggernaut, and troops... just run if your playing by yourself to get past the round, keep moving taking a few enemies out at a time. There is no way to save at this point in survival mode, if trying, i would allot about 30 minutes to play, or pause the game, and pick it up where you left off, but you cannot actually save. how can we save and restart from last failed wave ? .. every time i have to play from wave 1 . Delta team, is too weak instead of using riot shield team.. And C4 works fine, but you need to stack it up, and when running it can get tough..
Well... If you mean 26, then you will face a wave of 3 juggernauts, plus a full span of enemy troops, and possibly 1 helicopter... I know that after 25 helicopters will come in each round, and that you will see a lot more juggernauts, and stronger troops.